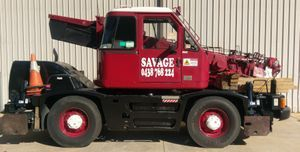 "Contractor" means Savage Crane Hire Pty Ltd and includes its subcontractors, servants and/or agents. "Goods" means all wares, merchandise, plant & machinery and articles of every kind & description, including packages, crates and contents thereof, of whatsoever kind. "Client" means and includes the person requesting the contractor to carry out work and any person tendering goods for handling, lifting and/or carriage. The contractor is not a common carrier and does not accept the obligations or liability of Common Carriers. All work is performed by the contractor subject only to these conditions of contract and the contractor reserves the right to refuse handling, lifting and/or carriage of goods at its discretion and without being bound to give a reason for such refusal. The contractor shall have full liberty to arrange with any other person, firm or company to undertake the handling, lifting and/or carriage of goods. Such person, firm or company and his or its servants and agents shall be entitled to the benefit of these conditions to the same extent as the contractor, insofar as it may be necessary to ensure into this contract for its own benefit and also as agent for the subcontractor, its servants and agents. The client must substantiate any reason for refusal to accept any subcontractor should this situation arise. All goods are handled lifted and/or carried entirely at the risk of the client. The client and/or its contractors or servants or agents shall not be liable for any loss or damage of whatsoever, kind howsoever occasioned at anytime and whether caused by any act default of negligence of the contractor, its contractor, servant, or agents or otherwise whosoever. It is agreed that the person supplying goods to the contractor for handling, lifting and/or carriage is authorized by the client to acknowledge application of these conditions of contract. The client or his agent shall not tender for handling, lifting and/or carriage any explosives, inflammable or otherwise dangerous or damaging goods without presenting a full description disclosing their nature. Such goods may be handled, lifted or carried only by special agreement. If any such goods be tendered otherwise, the client shall be liable for any loss or damage occasioned either directly or indirectly to the contractor. The client shall declare the weight of the goods and the contractor shall be entitled to rely on such declared weight when arranged or handling. The client shall then be responsible for all expenses, cost and risks incurred by the contractor and for any and all damage sustained by the declared weight. 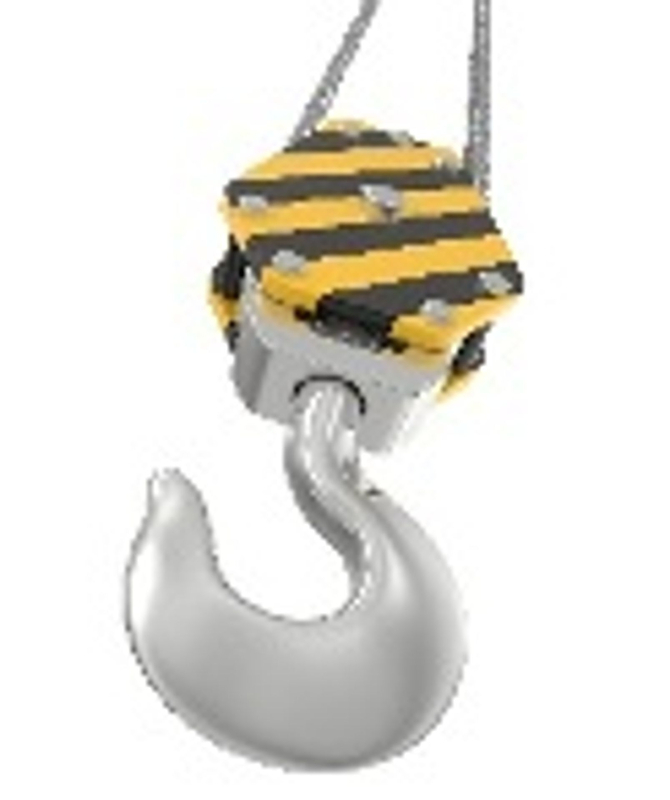 The client shall disclose to the contractor, the nature of the goods to be handled, lifted and/or carried. The client should arrange All Risk Insurance to meet the clients own specific requirements. Insurance of goods will not be effected by the contractor for the benefit of the client except on the written instructions of the client, and then only at his expense and upon the client giving a full declaration of the nature of the goods and value and allow adequate time to carry out instructions on each occasion. The client will be and will remain responsible to the contractor for all its proper charges incurred in respect of the handling, lifting and/or carriage of goods. Charges will be computed from the time the unit leaves the depot of the contractor until the time it returns to the depot, at the rate applicable to the unit and all hours shall be calculated to the nearest half hour. The contractor shall not be responsible for any delays, inconvenience or loss of any kind whatsoever incurred by the client due to any accident, breakdown or defect in the vehicle or any part thereof or from any other similar cause over which the contractor has no complete control. 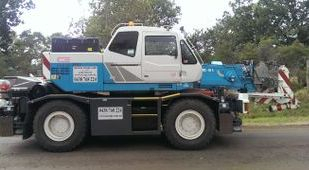 Licensed Dogman: The client is required by law to provide a licensed dogman at the point of each lift (to sling loads and direct hoisting) or to notify the contractor that a licensed dogman will be required in addition to the crane operator. Cancellation Fees: 24 hours notice of cancellation is required, or otherwise the contractor may charge up to the minimum hire at the hourly rates concerned for hire of the contractor’s equipment or the cancellation fee amount invoiced to the contractor for hire of any sub-contractors plant. The contractor shall be entitled to charge service charges at the usual rate for any time during which the vehicle is delayed either in traveling to and from or at the site at which the client desires the vehicle to operate as long as such delays result from any cause beyond reasonable control of the contractor. The client shall be responsible to pay for all delays caused by the contractor obeying any instructions given by the client or his representative, including delays by any bogging or breaking down of the vehicles resulting from such instructions. Such delays shall be charged at the contractor's usual rates and shall include the recovery of vehicles from being bogged. Notwithstanding anything herein contained, the contractor shall continue to be subject to any implied warranty provided by the Trade Practices Act 1974, (as amended), if and to the that the said Act is applicable to this contract and prevents the exclusion, restriction or modification of that warranty. 17. The customer will be liable for all cost related to the cost of recovering over due accounts. All over due accounts will be charged at 14% interest.